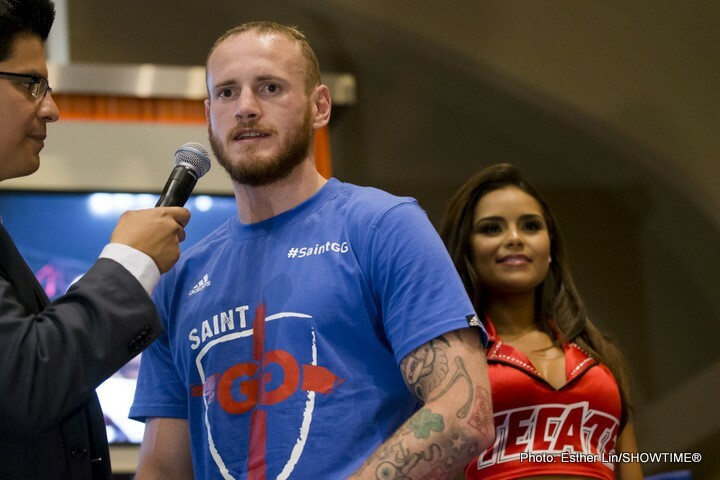 Last night in his native London, super-middleweight contender George Groves pounded out a wide 12-round unanimous decision over an incredibly tough and game Eduard Gutknecht. Scores were 119-109 twice and 119-110. Groves is now 25-3(18). Gutknecht, really a light-heavyweight, falls to 30-5-1(13). The unfortunate aftermath to the fight is the most important thing right now, however. The German, who really shipped some heavy shots from Groves, collapsed in his dressing room shortly after the brutal and one-sided fight had ended. BBC Sport reports how the 34-year-old was taken to hospital on a stretcher. At this time, the only thing that matters is the health and well-being of Gutknecht. Should last night’s fight have been stopped? Gutknecht was way behind on points by the midway stage and by the 9th, with his right eye badly marked up, he was close to exhaustion and taking a real beating. But, due to Gutknecht being the bigger man and possessing a chin that has never failed him (stopped just once, on cuts) his corner allowed him to battle on all the way to the final bell. But at what cost? Groves, who admitted his surprise at how Gutknecht made it to the final bell, said he now wants nothing but big, big fights. Groves (at the time unaware Gutknecht had been hospitalised) said on Channel 5 that his ideal choice would be a return meeting with Badou Jack, who holds a points win over him and faces James DeGale in a big unification fight in January of next year. Again though, right now the health of Gutknecht is all that really matters. “Thoughts are with Eduard Gutknecht after tonight’s fight,” Tweeted Groves’ trainer Shane McGuigan. Hopefully Gutknecht, who last night gave above and beyond in terms of sheer effort, will make a full recovery. In the meantime, the debate over whether or not last night’s fight should have been stopped will continue. Groves retained his WBA International super-middleweight title with the win. A fight with Fedor Chudinov could also be next for the 28-year-old.